Why Do I Love Tweetdeck? Unlimited number of columns that can be searches, lists, etc. With Tweetdeck, you can view multiple Twitter accounts, the Friends Column, Direct Messages, Mentions and new Followers. You can actually vet your followers from the Tweetdeck. You don’t have to go into the web browser to do this, which is a great plus. If you are a heavy Twitter list user, you can create them from Tweetdeck, you can also display lists as columns to follow them more closely. You can add multiple Facebook columns to your Tweetdeck and categorize your friends into groups. I like that you can see the Status Updates of your friends in Tweetdeck, Comment and “Like” their updates. You can even post on their wall or send them a private message, if you would like all from Tweetdeck. You can also add your LinkedIn updates to your Tweetdeck and select what options you want to view in your Tweetdeck. You can comment on other’s posts and send them a LinkedIn message. Go to Tweetdeck.com to download and install. Click on the Wrench Symbol again and click Accounts. Click “Add New Account”. (Here you can add additional Twitter accounts, your Facebook Account, Pages and LinkedIn). These are a few settings to optimize using your Tweetdeck account. I actually teach Twitter training and these are a few of the settings I go through with my clients during the training. Tweetdeck is my preferred tool for ease of use in teaching others. If you use Tweetdeck what features do you enjoy most? Let me know in the comments below. Lissa Duty is a Social Media Marketing Strategist who specializes in assisting small businesses with leveraging social networking sites and teaching them how to grow their brand awareness and business. She does this either by performing social media maintenance on their behalf or teaching them via hands-on training. 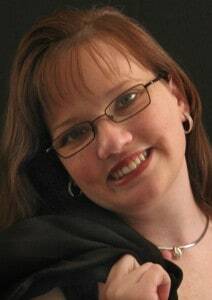 If you would like to learn more or to connect with Lissa, you can view her website, Connect with her on Facebook, on her Fan Page or follow her on Twitter.